It’s such an exciting time to live and work in Los Angeles! The city is officially on the map as one of the world's definitive design destinations and it’s truly inspiring. With a rolodex of resources throughout LA, I’m not sure I could ever satisfy my heart’s design desire. But, there are a few stores around the city that consistently challenge and electrify me, and are my ultimate “go-to’s” for all things design. This is one of the best curated stores in the city with incredible global brands. From architectural furniture pieces to modern light fixtures to clever decor items you don’t see anywhere else, I can almost always find items for my clients (and myself!) every time I’m there. As a designer I pay attention to every detail and Cisco Home has the same level of technical awareness. Each unique item is built by local craftspeople at their Los Angeles headquarters and uses top-of-the-line healthy materials like organic wool, goose feathers and down, and properly stained FSC woods. A true one-shop-stop, Huset is a multi-purpose store, offering Scandinavian furniture and accessory brands for home and office, men’s and women’s fashions, as well as kid’s clothing and toys. This is by far one of LA’s best lifestyle stores. Hollywood set designers know this place well and when you see the merchandise in the grand space you can understand why. Offering an eclectic collection of furniture and decorative arts from period pieces to masterworks, this 30,000 + square foot gallery and showroom is a sight to be seen. A maverick in her own right, I adore Kelly’s discerning design eye. The brand is a genuine extension of Kelly’s aesthetic, with unique and playful products. Whether you’re searching for an art deco inspired wallpaper, cool marble stool or bejeweled bottle opener, her designs brilliantly balance historical reference points with contemporary influences, masculine with feminine, and classic with contemporary, in the coolest way possible. The guys behind this brand are something special. Their vintage-modern furniture and home goods embrace the spirit of Southern California’s raw beauty — the desert, the beach, the mountains — with a contemporary sensibility rooted in mid-century lines. I love what they’re doing -- always mixing up their inventory, but still staying true to their California spirit. 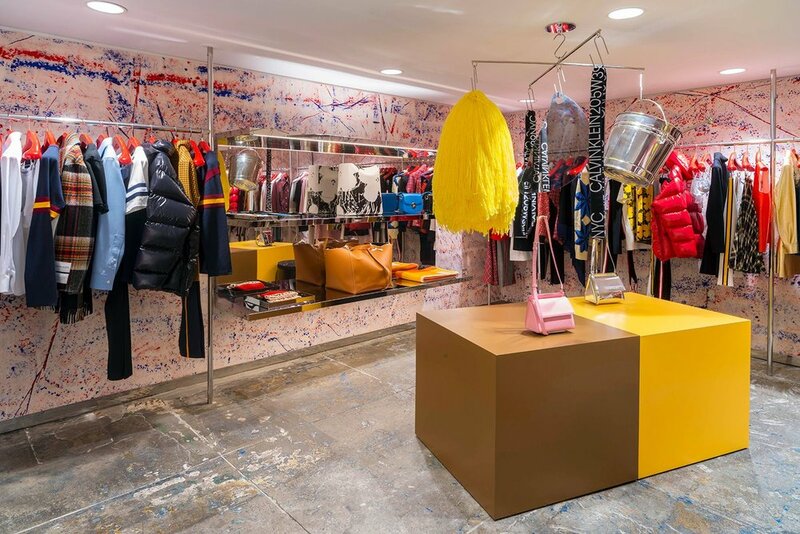 A retail concept shop in which merchandise is arranged as an immersive experience within an apartment, you can shop fashion, home and beauty items with context. 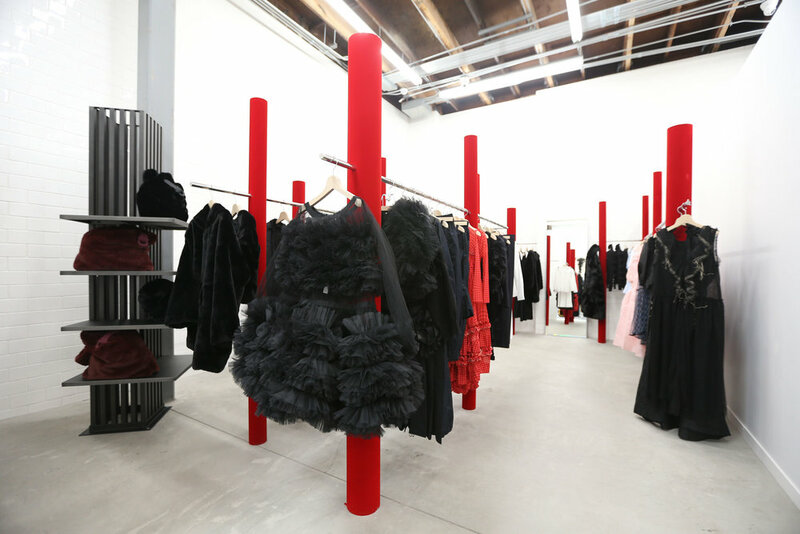 A focus on craftsmanship and emerging designers, The Line is one of the most alluring stores in SoCal. Insider tip: be sure to take advantage of their by-appointment shopping, personal styling, interior design consultation, and gift registries for the full experience. If you’ve been inside their LA flagship store you know it’s quite the experience. I love how they curate pieces from international artisans that are consistently stylish and timeless, whether you’re buying a coffee table for your living room, headboard for your bed or lighting for your kitchen. You always know what you’re getting in terms of quality which makes RH one of my favorite retailers.